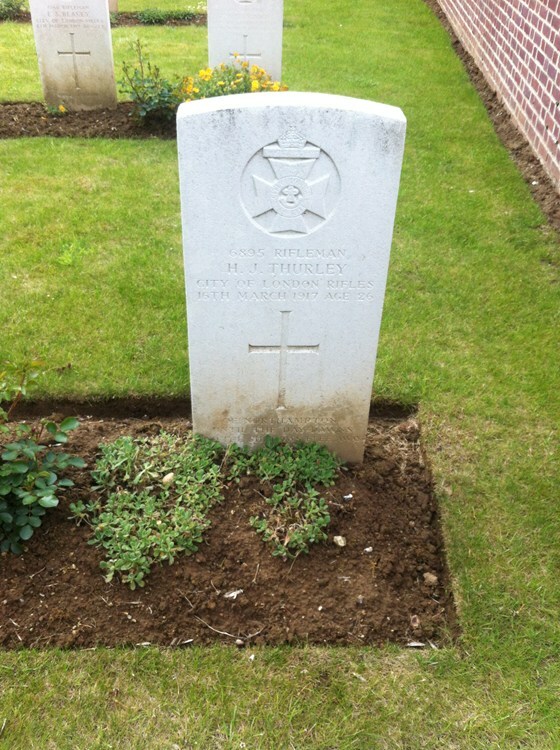 Probate Percy Charles Thurley had his estate probated in 1911 in Warwickshire, EnglandBG. Marr-Gro The marriage of Thomas William Thurley and Agnes Falkner was registered fourth quarter (vol 7a, pg 57) in 1914 in Market Harborough, Leicestershire, EnglandBG. Death-GRO His death was registered (vol 10, pg 2024) in March 1980 in Norwich, Norfolk, EnglandBG. 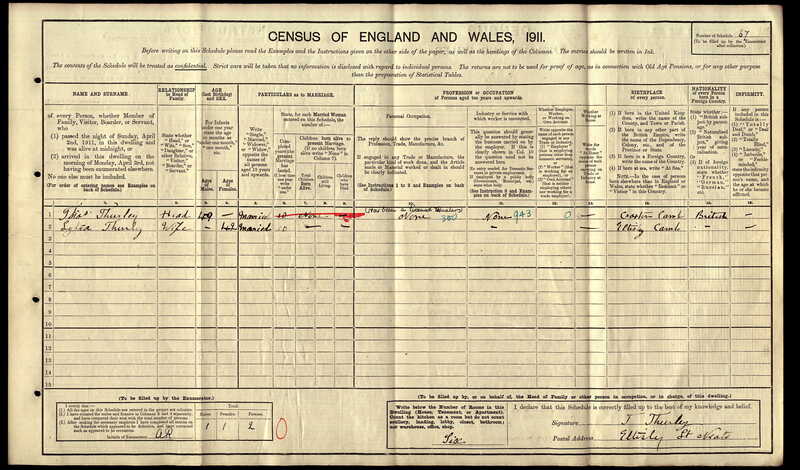 English Census 1911 He appeared as the Head of the Household in the 1911 English Census in Caxton End, Eltisley, St Neots, HuntsBG. Probate (Admin of) Administration of Dorothy Constance Thurley's estate was granted to her sisters, Florence Lily Thurley and Louise Amelia Thurley on 26 January 1945 in Llandudno, WalesBG. Wife She appeared as the wife of Thomas Thurley in the 1911 English Census in Caxton End, Eltisley, St Neots, HuntsBG. Marriage Walter Joseph Wallis and Dorothy Margaret Thurley were married. Chr She was christened on 31 May 1896 in Woburn-Sands, Bedford, EnglandBG. Death She died on 13 March 1981 in Milton Keynes, Buckinghamshire, EnglandBG. Occupation In 1911 Ethel Millicent Thurley was a House Parlourmaid Domestic.